Internal frame S’ moves at a speed of 0.60c with respect to frame S in the direction of increasing x. In frame S, event 1 occurs at the origin at t= 0 and event 2 occurs on the x axis at x=3.0 km and at t-4.0 ps. What times of occurrence does observer S’ record for these same events? 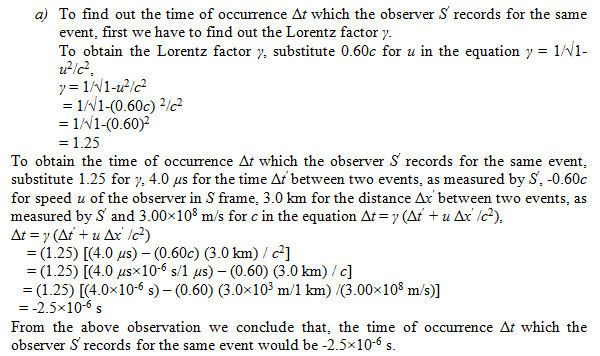 Explain the reversal of the time order.